A massive bushfire has churned through more than 5,600 acres on New Zealand’s South Island in what is believed to be the country’s worst forest fire since 1955, BBC reports. A state of emergency was declared on Feb. 6, two days after the Pigeon Valley Fire began near the city of Nelson. 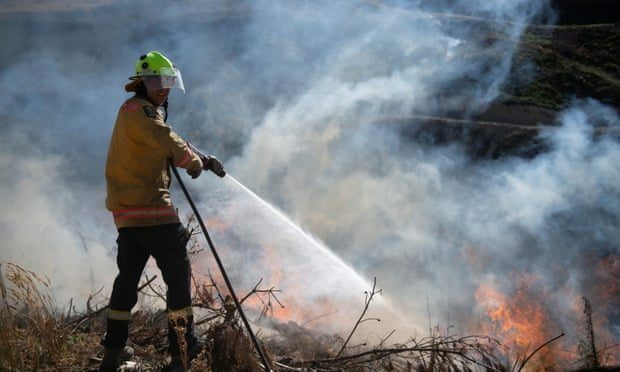 As of Monday, the blaze was still scorching the island’s arid countryside, but as firefighting conditions improved, around 3,000 evacuated residents were allowed to return home. Twenty-three helicopters and two planes have reportedly been deployed to combat the blaze in the nation’s largest aerial firefight on record, according to the New Zealand Herald. The bushfire follows a heatwave that saw some areas of New Zealand sweating out 90°F days last month. The New Zealand Drought Index reports “extremely dry” conditions in the Nelson area, which has reportedly been parched since November 2018. Local emergency workers have warned residents over the dry conditions, noting that “one spark could be enough” to set off disaster. “While I’m immensely relieved there’s been no loss of life and want to thank all of those involved in tackling this immense fire, it’s clear there are going to be some difficult times ahead until we get the fire fully under control and people back to their homes,” she said.